I want to thank all those who suggested Psalms for my upcoming sermon series. The Psalms have so much to offer us in worship. They were written to express faith in God: from praise to lament. Sadly, many times they can be overlooked. And yet, the words can still speak to us today – many times more so than any prayer we might seek to say. Please join me in the journey with these Psalms. May they be prayers for us, reminding us how much God really does love us. Over the years, I have collected a number of inspirational stories. One I have is from an Lih Yuh Kuo, “The Scar,” found in the book, Chicken Soup for the Soul. A little boy invited his mother to attend his elementary school’s first teacher-parent meeting. To the little boy’s dismay, his mother said she would go. This would be the first time that his classmates and teachers met his mother and he was embarrassed by her appearance. There was a severe scar that covered nearly the whole right side of her faced. The boy never wanted to talk about why or how she got the scar. At the meeting, the people were impressed by the kindness of his mother with the scar, but the little boy was still embarrassed and hid himself from everyone. However, he could hear clearly the conversation between his mother and the teacher. “How did you get the scar on your face?” the teacher asked. When the little boy heard this, he couldn’t help running towards his mother with tears in his eyes. He hugged her and felt his mother was greater than anyone. He held her hand tightly for the rest of the day. Coming off Easter, should we not respond the same way with God – never being embarrassed in our love for him and seeking to be in his presence always? It is not always easy to write a newsletter article. Coming up with ideas on a monthly basis does require much thought. I go through a variety of ideas as I contemplate what I would like to share. One of my processes is looking at the month to see what is going on. Can I build off something taking place? Sometimes it is easier than others. I am happy to say this is one of the easier months, at least this year. The word I want to consider for March 2017 is renewal. Two things are happening in March that lend to the idea of renewal: the first day of Spring and Ash Wednesday/Lent. I want to start with Spring. Even though it is later in the month than Lent, I believe many times we look forward to Spring before we consider Lent. And why not? What is it about Spring that we look forward to? Renewal – seeing nature bloom to new life and we look forward to the days ahead of the promise and hope in that life. It is an opportunity to praise God for many blessings. I realize some may be surprised that I consider Ash Wednesday/Lent as renewal. We tend to look at this time of year with solemn emotions, especially as we contemplate the cross. And, I know people struggle with the concept of giving something up for Lent. But, that is where I see renewal! It is not just giving up something. It is also relying more fully on God. It can be a time of spiritual renewal in getting closer to God – for the first time or again. As we enter March, I challenge us to reflect on our relationship with God. We have a wonderful opportunity to bring any obstacle to God, preventing a closer relationship. God will always be with us. Do we want to renew that relationship with God in hopes of being better disciples? We look forward to nature’s renewal. Why not look forward – and act – on renewing with God the opportunity for a deeper, fulfilling relationship? Last year, around this same time, I asked for your help. I was planning a sermon series on hymns. I asked if you would provide me with hymns that mean something to you that I might preach upon. And, I am thankful for the overwhelming response. I have enough hymns to do another series in the future. I want to ask for your help again this year. I would like to do another sermon series this summer. This time I want to do it on the Psalms. So, I ask: is there a psalm that you might want to know more about? I would ask that you send me an email or a note with the psalm or psalms you are interested in knowing more. Please let me know between now and March 31st. Then join me this summer for this sermon series. I look forward to sharing in God’s Word with you. 1. Why is it Holy Ghost in one version and Holy Spirit in another? 2. Why doe one version have descended into hell” and another have “descended to the dead” and some churches take that portion out completely? Those are the most common questions I have heard asked. I know there are other questions people ask that are not quite as common. And, many people are surprised to find out that the current form of the “Apostles’ Creed” was completed by the eighth century A.D.
Beginning in January, my Tuesday evening class will look at the “Apostles’ Creed.” We will be using the book, The Apostles’ Creed for Today, by Justo L. Gonzalez. Following along the lines of the other books in the “For Today” series, it examines what the original meanings were for each section, and focuses on how it can still speak to us today. There are two main reasons for this wonderful tradition during this time of year. First, Jesus is the Light of the world. As we read in John, Jesus came to share the light. But, according to John, we love the darkness. The good news is that Jesus still wants to shine that light in our lives. 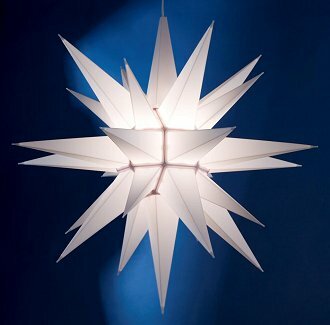 Second, it was by the Star of Bethlehem that the magi were guided. They followed the star to the place where Jesus lived. There they worshipped the King of kings. They saw the light and lived by its guiding. As we celebrate the birth of our Savior, may his light shine upon us, and may we continually be guided by him so we may bow down and worship God through Jesus. In the Light of Christ there will always be hope. I cannot express opinions in communicating, as pastor, who to vote for (or not), how to feel about a candidate, nor how to vote on an issue. However, there are two things I can express – as a Christian and as a citizen. We are extremely blessed to live in a country where we have freedom of speech. One of the blessings within that is the opportunity to elect the leaders in the different levels, and voice our opinions on the issues before us. So, first of all, please get out and vote. We cannot take for granted this privilege we have been afforded that many nations do not have. Make your voice known for the candidate of your choice, and on whatever issue(s) come up. Second, we have the privilege to express our concerns to our elected officials. As these leaders prepare to vote on our behalf, please do not be afraid to share thoughts with them, especially when the decision will impact the community we live in. I know we have some people already doing this. My hope is for all of us to remember we all can and should. God has blessed us with many freedoms in our country. Let us never take any of them for granted. One of the pleasures in my life was the opportunity to work Life Enrichment in a nursing care facility. Life Enrichment consisted of planning and implementing activities, and one-on-one visits with residents. I enjoyed the wide range of possibilities in activities we could be part of, and getting to know many people as individuals. But, every year, there was a challenge for Life Enrichment – mostly true across the board; not just where I was. The Christmas season brought many churches and other agencies out in wanting to do things, especially Christmas caroling. We received so many requests for times to come and sing, or play bingo, or bring goodies. We could honestly have something going on every waking hour of the day during that season. And, after the holidays were over, only a very small percentage of those churches and agencies would come back during the other eleven months of the year. What it might have been like for the residents had these same entities come multiple times of the year – a blessing for all involved! I use this experience as I think about St. Vincent’s House. This is a part of the description found on their website: more than 60 years, we have provided programs and services for the disadvantaged and underserved population in the community – those whose poverty and pain are obscured by the glow of the island’s bright lights and enticing attractions. We are able to serve by collaborating with partners who share our vision for a Hope-filled and healthy community. Our services are designed to meet the real and immediate needs of our clients for food, shelter, healthcare to enhance their mental, physical, and spiritual well-being. We have been one of those partners for some time now. We offer opportunity to bring non-perishable food to the church, and that will be taken to St. Vincent’s to help in feeding. Sadly, in recent times, our donations have gotten less while their need has gotten greater. My hope is that we can, and will, recommit ourselves to bringing food donations each month to help meet the needs at St. Vincent’s. I see the needs getting greater. So, I challenge all of us to bring more regularly to our church, food for St. Vincent’s. The need is there all the time. But, I see it as a blessing for all of us in giving so others will be fed. And, we all may be spiritually-fed. That is a glorious hope! Please consider helping. Thank you! I met a woman soon after I arrived to serve a former church. She had Alzheimer’s. Every Sunday she would come with her sister-in-law. Never once did she remember my name. The only thing she could say was that she knew I was the pastor because of the robe. Sadly, her Alzheimer’s had reached the point she could not function without help. I went to visit her sister-in-law, still living onsite where both had worked at an institute for higher learning. As I toured the campus, I came to the library. Upon entering, there were large letters on the wall, spelling out that the library was built in dedication to the woman who had Alzheimer’s. In her younger years she was a librarian and promoted learning. I share this story as a reminder that Alzheimer’s and dementia affect each and every one of us in some form. It could be one personally has it, or a family member lives or lived with it. It could affect a dear friend or coworker. As the body of Christ, the church, we are not immune to the effects Alzheimer’s/dementia brings. We, as the body of Christ, can do something about it. I feel blessed we have an opportunity before us to fight back against Alzheimer’s/dementia. On Saturday, October 8th, the American Alzheimer’s Association will be holding their annual walk to end Alzheimer’s. First Presbyterian Church has a team started to participate. I would like to ask three things. First, I would like everyone to pray for a cure – an end to Alzheimer’s/dementia. Second, please consider joining our team and/or come out to support our efforts; and third, consider using your resources and/or talents in helping find that cure. If you have questions, please come see me for more details. I have a book I filled with many wonderful and inspiring stories. Sometimes, I pull them out and read them for encouragement. I came across one entitled, “The Parable of the Old Mule.” The author is unknown. I share it because I believe we live in a time where we could use a little encouragement. Enjoy! The mule fell into the farmer’s well. The farmer heard the mule ‘braying’ -or-whatever mules do when they fall into wells. After carefully assessing the situation, the farmer sympathized with the mule, but decided that neither the mule nor the well was worth the trouble of saving. Instead, he called his neighbors together and told them what had happened …and enlisted them to help haul dirt to bury the old mule in the well and put him out of his misery. It wasn’t long before the old mule, battered and exhausted, stepped triumphantly over the wall of that well! What seemed like it would bury him, actually blessed him…all because of the manner in which he handled his adversity. If we face our problems, respond to them positively, and refuse to give in to panic, bitterness, or self-pity, the adversities that come along to bury us usually have within them the potential to benefit and bless us. A little boy invited his mother to attend his elementary school’s first teacher-parent meeting. To the little boy’s dismay, his mother said she would go. This would be the first time that his classmates and teachers met his mother and he was embarrassed by her appearance. There was a severe scar that covered nearly the whole right side of her face. The boy never wanted to talk about why or how she got the scar. Back in February’s newsletter article I asked you for a list of hymns you would be interested in being part of a sermon series covering the hymns. Thank you to all who responded. I have had great response so that I could do multiple series on hymns! I look forward to sharing these hymns with you and how they still speak to us today. And let us sing God’s praises – always! The word I want to consider this month is communion. But, not in the traditional sense when participating in the Lord’s Supper. I want to reflect on the deeper meaning of communion. For me, communion is about relationship. This month serves as a great example in how this is and could be acted upon in our Christian lives. There are there aspects of May that tie the concept of communion together very well. First, we will celebrate Pentecost on May 15th. The birthday of the church with the Holy Spirit coming upon those first disciples and bringing many people to give their lives to Christ – this represents communion with bringing many into a close relationship with fellow believers and helping to define the beliefs that shape the Christian faith. Second, we will worship Trinity Sunday on May 22nd. We are invited to know God – Father, Son, and Holy Spirit – and be in communion with God. From the beginning of time and to the end of the age, God has always been with us. God invites us into a close relationship. The last also has to do with May 22nd. This year marks the five year anniversary when the sanctuary reopened its doors for worship. For me, it is a pleasure to be among committed Christians wanting a close relationship with God and one another – communion. We share in God’s love and the mutual care for one another. I believe Paul summed it up best in 2 Corinthians 13:13, which serves well as a benediction: the grace of the Lord Jesus Christ, the love of God, and the communion of the Holy Spirit be with you all. That is what communion is all about! I write this article as we are coming off Easter Sunday. And what an Easter Sunday it was! It was very meaningful to me that so many people came to worship and join in fellowship as we proclaimed the risen Lord. So, here we are in April and from the church liturgical year view – there is not much going on. Our next major event coming up will be May 15th, which is Pentecost. Two years ago I attended a continuing education event that changed my take on Easter and Pentecost. I believe my original take came from involvement in churches that celebrated Easter on that one Sunday. And Pentecost was possibly not celebrated. Or, if it was, it was downplayed. They were two separate entities. I began to question how often I have let Easter Sunday be the culmination of the Christian year, forgetting to celebrate the risen Lord daily. That led to a better question in how I can become more aware of celebrating the risen Lord daily. In all honesty, without the resurrection, there would be no church. Without the Holy Spirit coming on those first disciples and being with us now, there would be no church. So, I have begun to take the idea further to celebrate the risen Lord year-round. May we all remember to celebrate the risen Lord always. For the fun of it, I looked up “Christian Easter Clip Art” for the purpose of seeing what might come up. I found it fascinating that over 90% of the pictures included the cross. In all the pictures, the cross was empty of a person. But, there was always something else associated with the cross. Some had a sunrise in the background. Some had flowers (mostly lilies). Some had a dove. And some had a purple cloth draped. There were others of varying kinds, but the ones I listed are the majority of Christian Easter Clip Art. So, it raised a question for me: why the cross and not more pictures of an empty tomb? I ask that for two reasons. First, in Jesus’ time, the cross was the common instrument used in executions. It was not uncommon to see crosses along the roads. And second, Jesus’ resurrection was the only time in history that a tomb was empty because someone came back to life. Recently, I was reading 1 Corinthians 1: 21 – 2: 5. In that passage of Paul’s letter he speaks of the cross and the crucified Christ. As he developed his theology, he had to address God and his Son crucified, especially in a world filled with so much philosophy and living by tradition. He came up with two possible answers: God is not as smart as we think, or we have to redefine wisdom by God’s wisdom. The second line of thinking is the direction Paul settled upon. The early Christian church, in the 300s, looked at Pauls’ writings and the Gospels. It was in this passage especially that led the Council of Nicaea to officially adopt the cross as a symbol of the Christian faith. Their reasoning was that the cross brings remembrance of Jesus’ suffering, in which he shared with humans; his victory over sin and death; and good prevailing over evil. The empty cross is a symbol of hope in the midst of human struggle. Singing hymns are a wonderful way to praise God! The music and lyrics can draw us closer to God. They serve as reminders of our Christian faith. They can even be prayers offered to God, especially when we don’t always have the words. Hymns speak to us and for us. This coming summer I will be preaching a sermon series on hymns. These sermons are meant to enhance our understanding of the hymns themselves. Who wrote them? What caused them to be written? How can they still speak to us today? With that in mind, I need your help. It is true I could pick hymns with the hope they might be favorites of the congregation. But I would like to hear from you. What is your favorite hymn? Which hymn(s) might you like to know more? or a note with hymns you are interested in knowing more. Please let me know between now and March 31st. Then join me this summer for this sermon series. I cannot say how true it is that this was used as a way to teach the tenets of the Christian faith. But, I believe the Christmas spirit should be in our hearts always in reminding us that Jesus came among us to reconcile us with God. And he will return one day and we will be with him always. As we move into 2016, let us remain faithful in our daily walk with God, keeping God first in our hearts. May Christmas and Easter be in our hearts every day!